The Caroline County Public Library brings people, information and ideas together to enrich lives, increase knowledge, and build community. 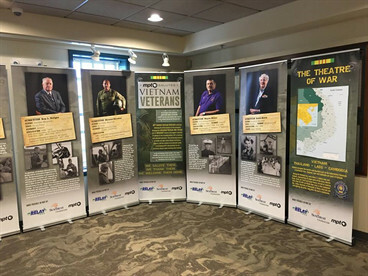 Made possible in part by Maryland Relay and the SunTrust Foundation, the MPT Salutes Vietnam Veterans Traveling Exhibit continues to make its way around Maryland to celebrate the military service of Marylanders during the Vietnam War. 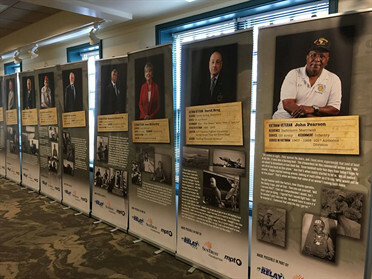 The exhibit features both current-day and wartime images of 16 men and women along with their recollections of incidents from the war. 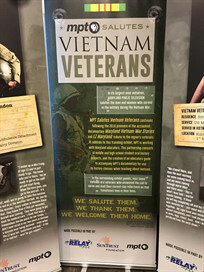 It is on display at the Central Library in Denton (second floor lobby) through August 19 during library hours (M, Tues, W, F: 10-6, Thurs: 10-8, Sat: 10-3).